Humans aren’t the only species with an obesity problem. A recent study shows that 55 percent of domestic dogs and cats are overweight or obese, and even zoo animals are getting in on this unhealthy trend. 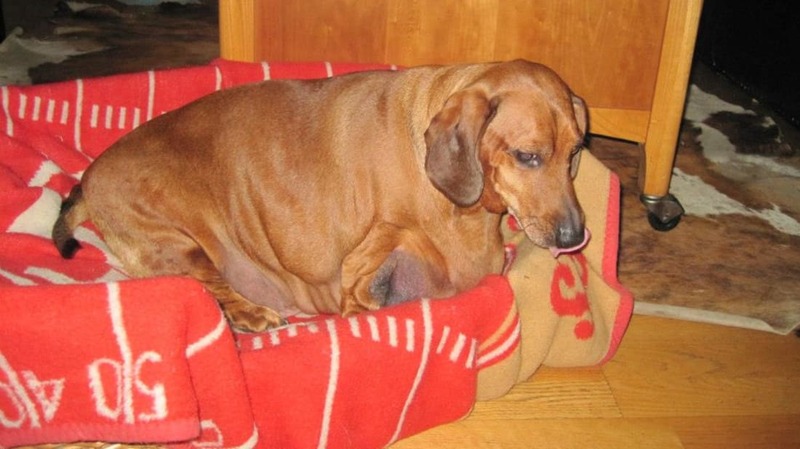 Fat cats and dogs might be cute, but animal obesity is nothing to laugh at. Here’s how seven animals dropped a few pounds and got healthy. Eight months ago, this Portland, Oregon pooch (above) tipped the scales at 77 pounds. A diet and exercise routine helped him shed 40 pounds, and a recent surgery took off 2.5 pounds of loose skin. Now 37 pounds, Obie needs to lose just 5 more to be at his goal weight; you can follow his progress on Facebook. When Bobby, a bunny from Richmond in North Yorkshire, England, came to the PDSA’s Pet Fit Club, she weighed 5.2 pounds—nearly two pounds above the ideal weight for a rabbit of her size. 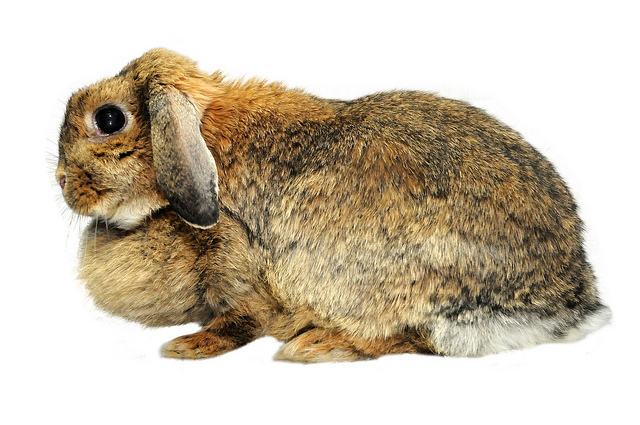 In fact, the fold under her chin (called a dewlap) so was large that it kept her from grooming herself properly. To help Bobby drop the pounds in a healthy way, owner Becky Magson got the rabbit new toys and built her a pen that gave her a lot of opportunities to run around. By the end of the program, Bobby was down to a healthy weight for her size; her grooming was back to normal, and Magson reported that she was much happier and more alert. In 2008, handlers at the Cleveland Metroparks Zoo started their quest to get these two male apes—who have heart disease—down to a healthy weight. Step one was eliminating processed biscuits, which made up the bulk of their food, from their diet. Instead, the staff placed vegetables and leafy greens around the enclosure so the apes would have to forage for it, as they would in the wild. This not only catered to the apes' natural behavior, but also increased their activity level. By 2011, Bebac had lost 20 pounds, and Mokolo had lost 60 pounds. It seemed like there wasn’t anything Holly’s owner, Dani Lawhorne, could do to get her to become more active. The nearly 20 pound, 13 year old cat didn’t like catnip or playing with toys, and hated going for walks outside. So Lawhorne tried something unconventional: Swimming. After a month on her new fitness program—which also included a healthier diet—Holly dropped a pound. These grizzlies at the Brookfield Zoo outside of Chicago currently weigh about 900 pounds—but they weren’t always so fit. In fact, the pair was obese, thanks in part to their diet: The bears dined on processed dog food, ground beef, bread, and fruits like oranges, bananas, and mangoes. Zookeepers swapped out that food for whole prey such as fish and rabbits, and incorporated fruits and vegetables like kale, peppers, and heirloom apples. Additionally, the zookeepers stopped giving the animals food on a schedule and hid it around the exhibit so they had to sniff it out, as they would do in the wild. Putting wax worms in the bears’ foraging piles helped them burn calories while they searched for the tasty snacks. After a year of their new diet, the bears had lost hundreds of pounds. And it’s not just the bears who had their diets adjusted: Other animals at the zoo went on a Weight-Watchers-like program to ensure they were at their healthiest.